The industrial site -100% French- of the company Interplume, located in Sainte-Hermine -Vendée (F-85210), specializes in the processing of feathers and down. Its customers are mainly high-end textile manufacturers, with export sales generating 90% of its turnover. Strictly committed to an eco-responsible approach, Interplume has made numerous investments to ensure a “green” production ( own bacteriological water treatment plant, supply of thermic energy via an adjacent biogas producing unit, regional sourcing & supply chain to reduce its carbon footprint to name but a few). The structure operates with a 3 x 8-hours shifts planning, and welcomes every day about thirty employees over the 24-hours period. 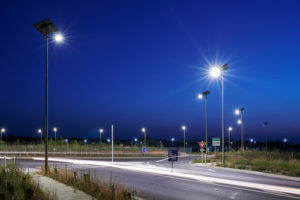 To ensure their safety 365 nights a year, Interplume ’s management is committed to install outdoor lighting in its car park and at the entrance of its site & buildings. Installing outdoor streetlights over an existing car park, often results in heavy electrical connection works. Conversely, Fonroche’s solar self-powered lighting solution demands less than two hours for its installation, needing only a simple concrete pad. Neither digging-up nor demolition of the existing parking spaces are necessary. In addition, the lighting posts are active from the very first night, avoiding any operating cost. Industrial sites, such as Interplume’s, require heavy-duty lighting performance to ensure the safety of employees, truck drivers and visitors. Independent from the public electrical network, Fonroche outdoor solar powered lampposts provide powerful lighting 365 nights a year, without interruption. Indeed, the smart solar-energy management system allows programming and optimization of power storage to ensure zero nights without lights. This is one-less problem to manage for Interplume. 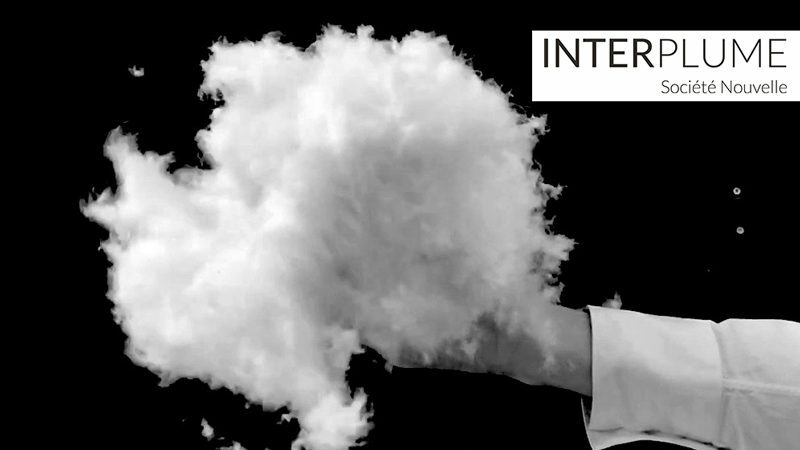 The company Interplume stands as a true eco-responsible French actor. All through the production stages, the teams are engaged in a continuous improvement process. It is therefore natural that the management opted for sustainable outdoor lighting. The solar solution draws its energy from a positive and inexhaustible source, economical and contrasting the use of fossil fuels. Furthermore, Fonroche Lighting works in partnership with two organisations for the recycling of the streetlights components.